We just can’t do without denims, can we? It’s our casual go-to and savior in many ways. We all have that denim piece which we can practically live in; be it that killer denim jacket, casual chic denim dress or your favourite pair of jeans. There’s no other garm which makes us feel as comfy and cool as denims. And the best part is denims never go out of fashion. Here are five denim picks that every woman needs in her wardrobe. 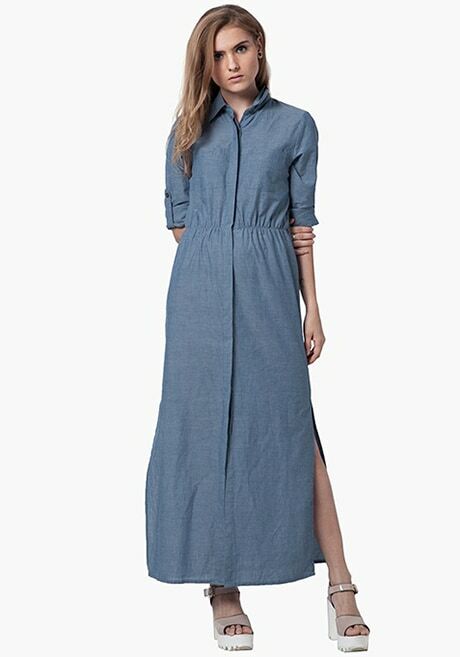 A style staple for any wardrobe – this denim maxi dress is chic, fun and fuss-free. To complete the look pair it with a tan belt, platform heels and a tasseled bag. Keep it cool yet uber-stylish with this killer bardot. 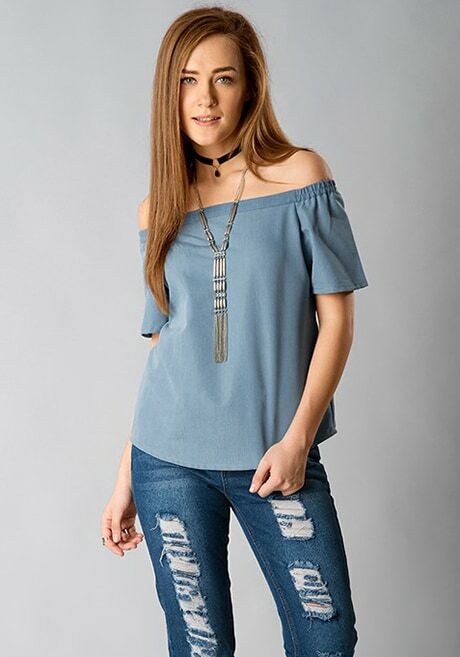 For a rocking look pair it with distressed denim shorts and a choker neckpiece. 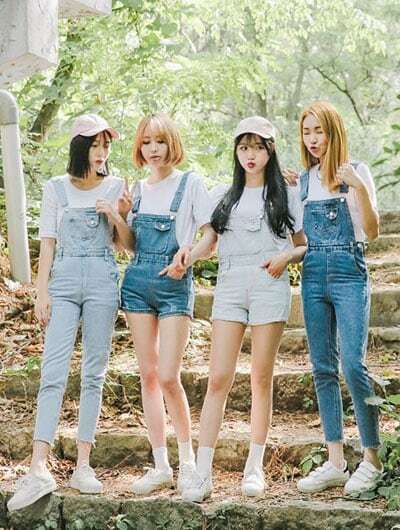 Dungarees can be tricky sometimes, but if styled right, you can wear them to absolutely anywhere. Make a quirky statement by styling them a white peasant top and white sneakers, to finish the look wear a charm necklace. 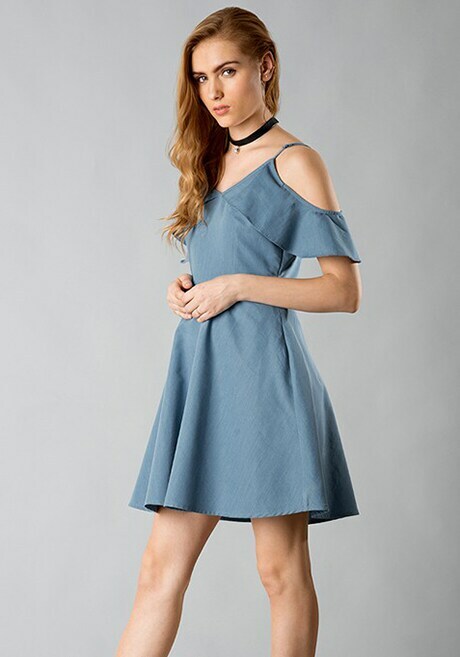 Cold shoulders and denims are the prevalent trends of the season, and that makes this skater dress a must have. Team it with your favourite heels or trainers and a cute tote. Channel 90s grunge with this so-hot denim maxi skirt this season. 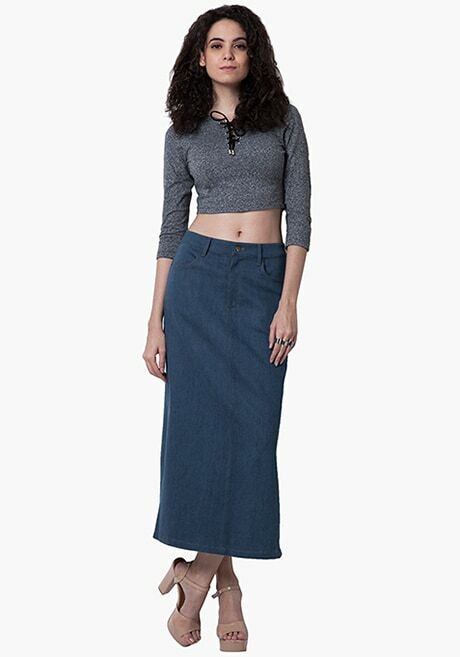 Keep it casual or jazz it up, this denim maxi skirt is perfect for any kind of occasion. Pair it with a quirky crop top and layer it with a denim jacket for some fun time with your squad.